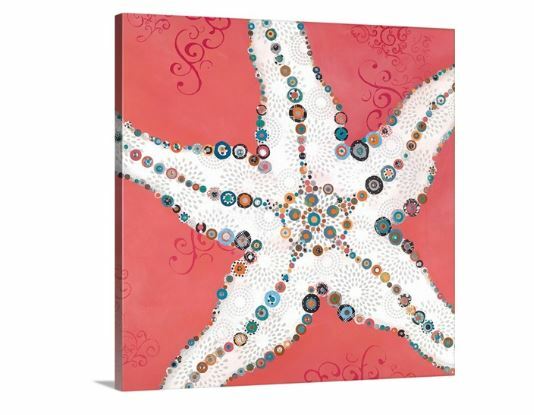 These Unique and Stylish Starfish Wall Art Pieces are all beautiful and unique in their own way. 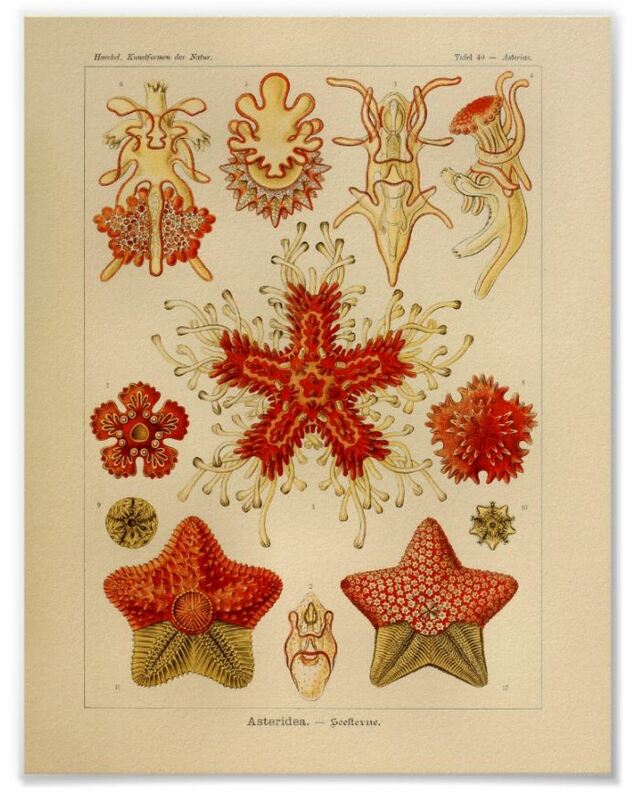 This is a great representation of starfish themselves because they are also all beautiful and unique in their own way. 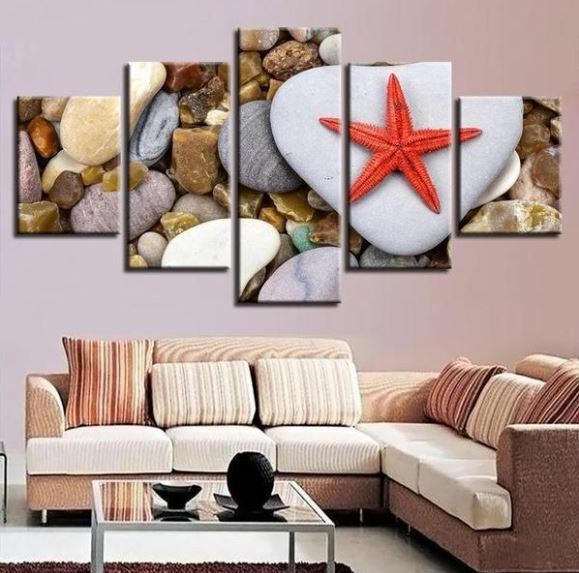 Even if your home is not decorated in a beach house style you can still find starfish themed art that will fit in. Choosing the right artwork for your home is important for several reasons. It helps you to set the scene of your home and adds a unique touch to your decor. There are several things to consider when you are choosing artwork for your home. Be sure to measure your space because you want to make sure that your artwork fills the space the way you want it to. This is important because you may be unhappy with the results if you do not properly consider the size of your space. Another aspect to consider is what kind of artwork you want to display. To decide this thing about your existing decor. You do not want to hang something that will look out of place. There are many different types of wall art such as posters, canvas prints and framed prints. This bright modern piece is sure to add to the atmosphere of any room. 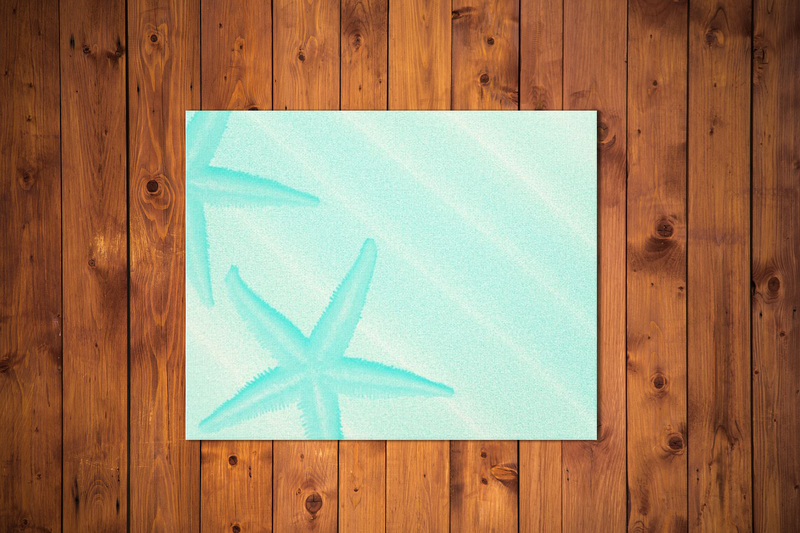 It features a shade of teal green that is interesting and is sure to look great on any wall. 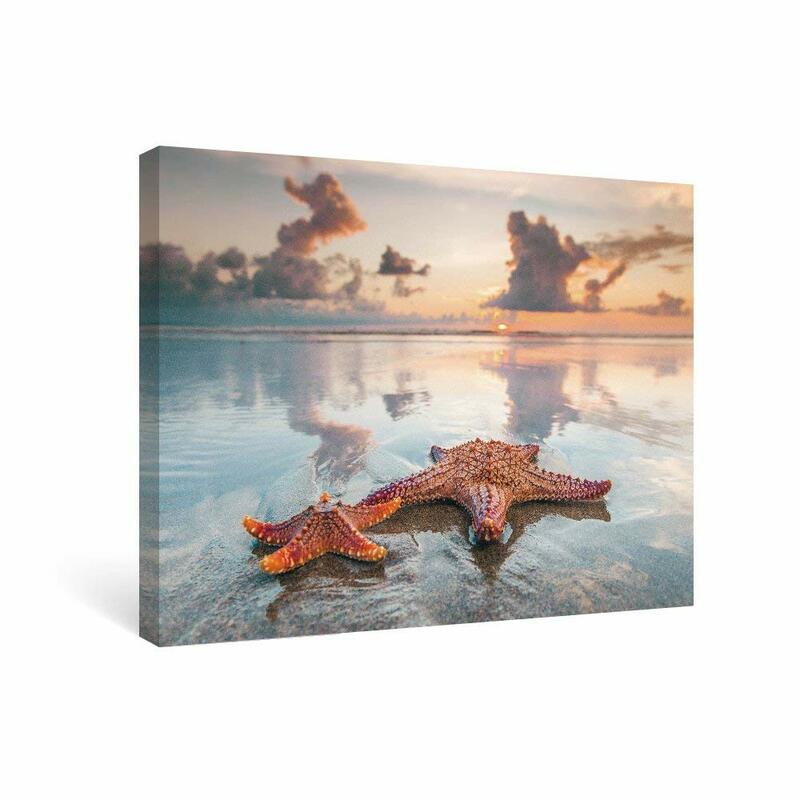 This canvas wall art print is gallery wrapped and it features a beautiful, natural image of starfish on the beach. The tones are mostly neutral which is great because it is likely to go well with any existing decor. If you like unique and modern patterns or colors then this one is a great choice. 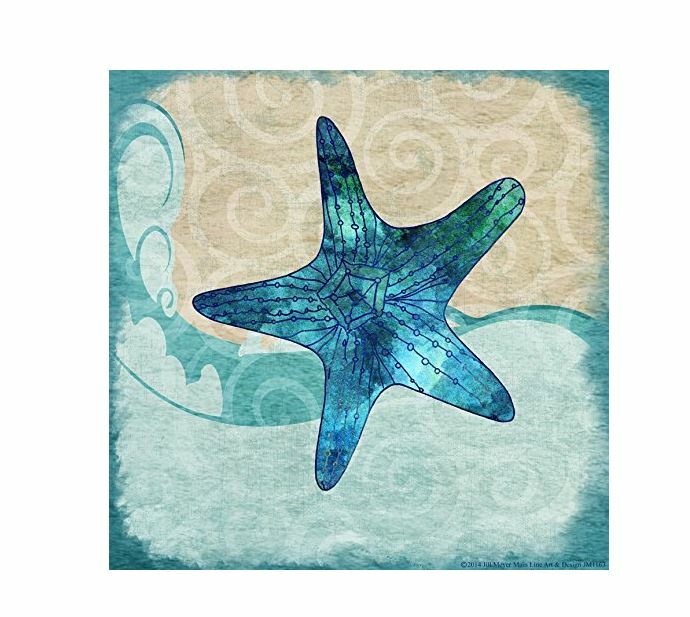 It is a starfish but it is different because of the modern style of design used to create it. You will love the way it stands out and adds a vibrant touch to the room. This canvas art set features a mix of rich neutral tones and a stand out red. Team with other neutral shades or red accents for a stunning effect. Beach house rooms are often decorated in blues but you do not have to stay within this color scheme to create a seaside vibe. 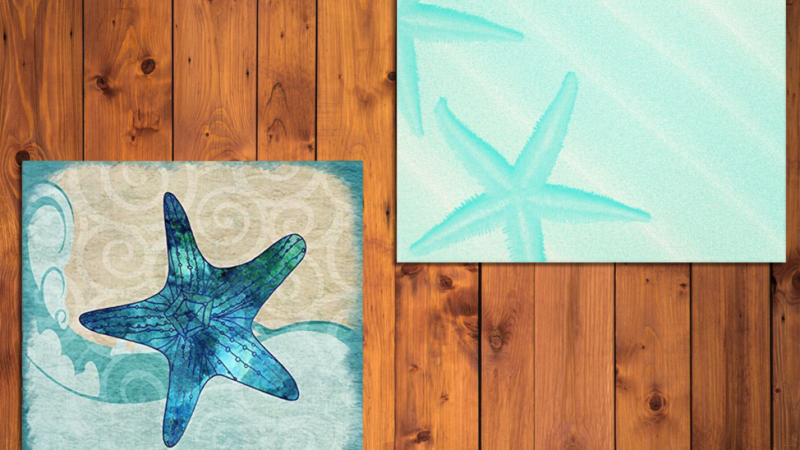 You do not need to stick to common canvas or framed prints when choosing wall art for your home. 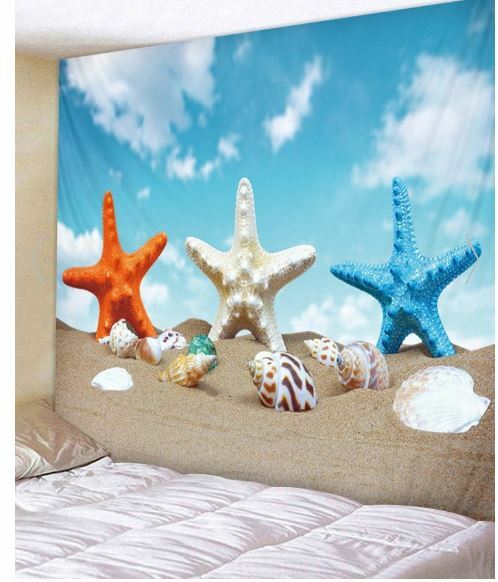 This beachy starfish wall art tapestry will look cool in any room. A wall tapestry creates a softer, more casual look so is suitable for any area designed for relaxing. You can order this set in a very wide range of different colors. This is great because you can ensure that it suits your decor perfectly. There are four decals in the set. 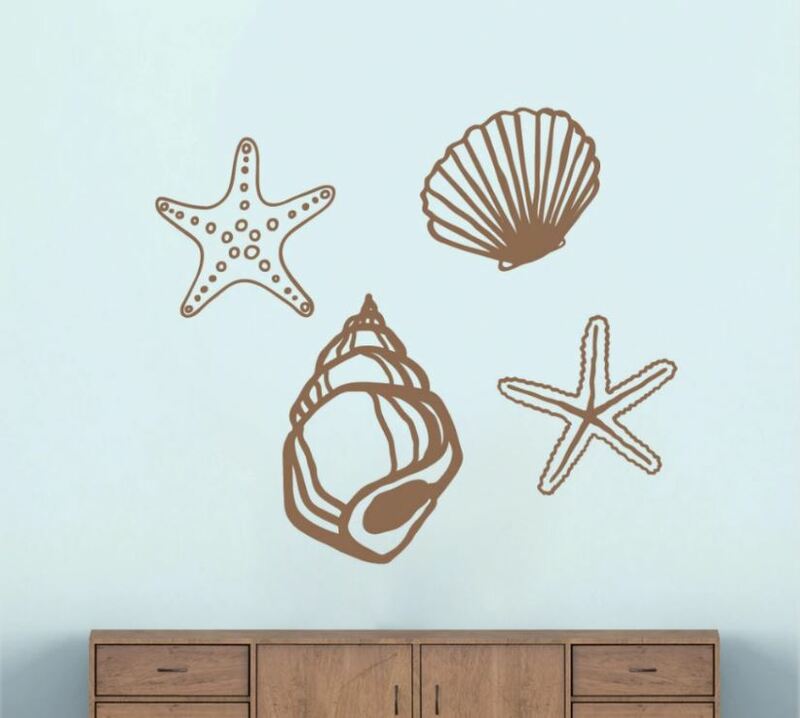 Two of the decals are starfish and the other two are sea shells. 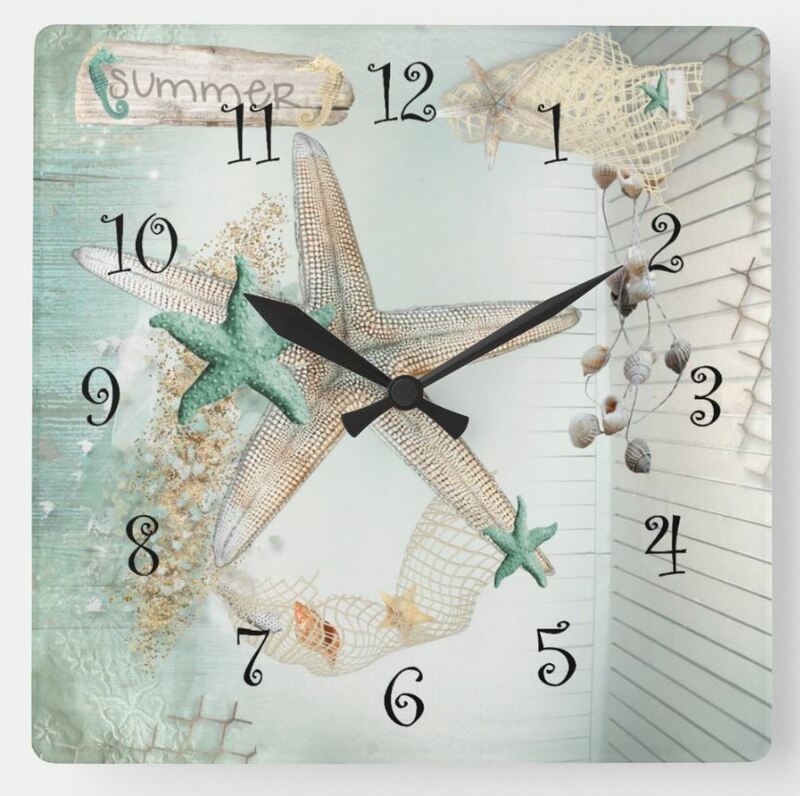 Every home needs a clock and this one is perfect for any coastal styled location. It features a unique and pretty nautical starfish design. This is a very creative clock that can not be bought in any store. If you have a coastal room featuring blues or greens this piece is perfect because of the colors. This is a quality canvas print that comes ready to hang. You can hang more than one of these side by side because it is a great way to fill your space. This is a square canvas with sides measuring 24 inches. This vintage styled poster is perfect for anyone who loves rustic styled decor. It is a very unique wall art idea that is sure to attract a lot of interest. When ordering you can choose from many different sizes and paper options in order to suit your space. You can display this in a frame or hang it unframed as a stand alone poster piece.